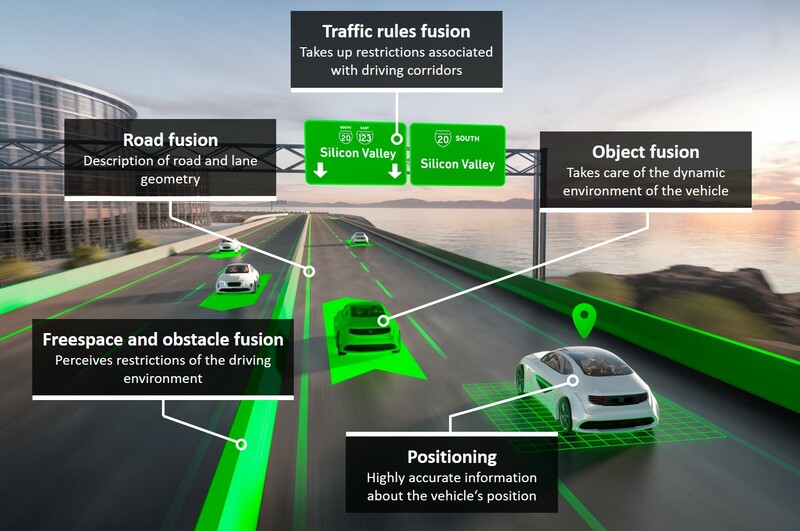 Automated driving functions and systems, from simple lane keeping to autonomous driving, require a consistent and dynamic environmental view through sensor data fusion. EB robinos Environment Model serves this need with a full environment model software stack for automated driving. This way, you can easily develop different driving functions like ACC or highway pilot with low effort and costs. EB robinos Environment Model serves driver assistance features up to automated highway driving or automated parking and is your cornerstone for gaining a head start for driving function development. EB robinos Environment Model lets you focus on the differentiating parts of an automated driving system and heavily decreases the time to market with a software stack that is mass-production ready. EB robinos Environment Model helps to increase the test depth and easily transfers into different vehicle platforms and models. Its high configurability allows for customization and a unique offering. Combining classical algorithms and artificial intelligence allows for maximum performance.